Rashtriya Gramin Vikas Nidhi (RGVN), established in April 1990 as a non-profit society, is an organizational innovation in support of development action. It’s sponsors are the Industrial Finance Corporation of India (IFCI), the Industrial Development Bank of India (IDBI) and the National Bank for Agriculture and Rural Development (NABARD). Its vision is to improve the quality of life of the poor or otherwise underprivileged rural and urban people through social action. promote, support and develop voluntary organisations engaged in the social and economic uplift of rural and urban poor, physically and socio-economically handicapped people. improve the pace and quality of economic development; especially relating to the village and decentralized sector. focus attention on groups which are disadvantageously placed in society, but have the potential for pursuing socially and economically productive activities. assist the urban and the rural poor, especially tribal, scheduled caste, women and children for their economic self-sustenance. With it’s headquarters at Guwahati, Assam, RGVN is presently working with over 1000 non-governmental organisations and 30,000 poor household organized in savings and credit groups. Its current area of operation comprises the eight states of the North-Eastern region, Bihar, Jharkhand, Orissa, Andhra Pradesh, Chhattisgarh and Uttar Pradesh. During the fourteenth year of operations, RGVN reiterated it’s mission to improve the quality of life of the poor and otherwise underprivileged rural and urban people through social action, aiming at reaching 150 thousand Indian households by the end of 2007. RGVN plans to achieve this end by promoting, supporting and developing civil society organisations and people’s groups so that they may respond to the livelihood needs of this section, thus bringing about a substantial improvement in the quality of their lives and empowering them in the process. RGVN was set up as an indigenous rupee funding organisation, to bridge the gap between the section of the populace who do not have access to credit and financial and development institutions who cannot always reach the poor. It was felt that RGVN could act as a catalyst in development interventions, by including professionalism in financial management and empowerment and empowering people through enhancing livelihoods. “Livelihoods”, in the context of RGVN, denotes an activity which provides a decent income by using talent, resources and aptitude, which one has at hand and subsequently, improves the quality of a person’s life. While the NGO Support Programme (NGOSP) remains the fulcrum of RGVN’s activities, and satellite programmes such as the NGO Capacity Building Programme, Shelter for the Economically Weaker Sections and the fellowship programme have gradually emerged, the Credit and Savings programme (CSP) is the direct intervention of RGVN. Begun in 1995, the CSP provides credit to very poor people living in Assam, Meghalaya and Orissa, through an alternative credit delivery mechanism. During the year (2003-2004) under purview RGVN reached out to over 9,100 households through its NGO Support Programme and the Credit and Savings Programme, bringing the cumulative numbers of households supported in fourteen states of the North East and Eastern India to about 1,00,3 00. Over 95% of persons supported this year were women. RGVN introduced the concept of the returnable grant (RG) to promote livelihoods of very poor people in 1991, during a period when poor people were accustomed to a culture of subsidies and grants. The rationale was that investments must produce commensurate returns; more so, when investors are the very poor who can ill afford to lose their money. The belief that the poor are indeed bankable was the basis on which returnable grants were made. During the fourteen years of operations RGVN has approved projects worth Rs. 2,090 lakh, of which Rs. 1,697 lakh has been disbursed. The return flow from the past returnable grants now forms a large part of RGVN’s source of funds, which was initially restricted to income from RGVN corpus. Today, as return flows are becoming crucial for the future survival and growth of the organisation, it becomes imperative that the organisation cannot depend on philanthropic principles alone. For the organisation to reach out to larger numbers, there has to be a amalgamation of philanthropic and business principles. Keeping this in view a special Recovery Cell was created in September 2003 to boost recovery initially in NER I and II. It is entrusted with the recovery from the projects of RGVN prior to 1996-97. RGVN works towards creating an environment where women can live with dignity and pursue their aims to enjoy a meaningful life. RGVN empowers women in the areas in which it works and ensures that any change in development perspectives takes into consideration that 75% of the world’s poor are women. RGVN continues to work in the eastern states, where a lack of infrastructure and opportunity, together with a large percentage of people in poverty threaten to throttle development initiatives. Policies need to be developed in a participatory manner and take into account the hopes and aspirations of the people for whom these are made. RGVN strives to make the poor stakeholders in any development initiative, so that they may see themselves as central to any initiative. Also of crucial importance is to take into consideration the socio cultural ethos of the communities for which such programmes are being made. This is particularly true in the hills of the North Eastern region which is the abode of over 135 tribes, each having their distinct culture and tradition. Programmes over the years, have been on such strategies for development that do not rely on outside resources and encourage self-reliance and community participation. Using income generation project as an entry point, the wider aim is to address the gamut of issues that add dignity to a person’s life, thus allowing people to take charge of their lives. RGVN works in the eight North Eastern states, Bihar, Jharkhand, Uttar Pradesh, Orissa, Andhra Pradesh and Chhattisgarh through its Corporate Office at Guwahati and four regional offices located at Guwahati, Jorhat, Patna and Bhubaneswar. Development Support Teams are located at strategic places. These are instrumental in building up NGOs at the grassroots and play an important part in streamlining information between NGOs funded and RGVN. The founder sponsor of RGVN is Industrial Finance Corporation of India (IFCI). Other sponsors are Industrial Development Bank of India (IDBI) and National Bank for Agriculture and Rural Development (NABARD). The RGVN. charter allows institutions and other corporate bodies to become RGVN’s sponsors with a contribution of Rs. 2 crore to it’s corpus. The Governance of RGVN is vested in a 10 member Board, consisting of eminent persons who have made their mark in the field of development. Four of the members are nominees of institutional sponsors i.e. IFCI, IDBI and NABARD while others are co-opted for a period of three years through consensus by the Board from among well known development professionals and other eminent persons from the field of business, finance and public service. Retiring members are replaced by persons identified by the Board. The Governing Board formulates policies and provides guidance to executives. The executive Director, who is an ex-officio member of the Board heads the organisation. Operations are carried out by four regional offices, each headed by a senior staff designated as the Regional Coordinator. There are four Regional Offices, Guwahati and Jorhat for the North east; Patna for Bihar, Jharkhand and Uttar Pradesh; and Bhubaneswar for Orissa, Andhra Pradesh and Chattisgarh. The head office at Guwahati integrates operations, develops policies, plans and budgets, meets all statutory obligations and is responsible for overall institutional development. RGVN has a corpus base of over Rs. 10.18 crore contributed by the sponsors and programmes are financed and administrative expenditure met through income from corpus. An office set up in Mumbai monitors the investment of corpus funds. However, in recent years, as the demands on RGVN have grown, RGVN has been mobilising programme related funds from donor organizations or revolving fund assistance from financial institutions. RGVN has worked in collaboration with the Ford Foundation, the Sir Ratan Tata Trust and Sir Dorabji Tata Trust, HIVOs, HDFC and the Government. The Credit and Savings programme is financed through loans from NABARD, SIDBI and the National Minorities Development and Finance Corporation. The prevalence of widespread poverty has necessitated a delivery mechanism which has its focus on the grassroots and is quick to respond to emerging needs. The founders of RGVN connived the NGO Support Programme as the centre of it’s developmental activities, for they felt that intervention through Community Based Organisations (CBOs) and NGOs would ensure that the impact of developmental programmes percolates to the remotest belts, involving even the section of population which normally is neglected. The programme should focus on self employment. It could be farm based or non farm based. It is focused on the group with the individual at the centre of the programme. it should use the resources which one has at hand. RGVN nurtures the belief that holistic and innovative approaches, rather than isolated individual efforts, can ensure a change in lives at the grassroots. Hence, each partnership is looked upon as a long-term relationship and is not merely project based. RGVN intervenes in an area with an income generating project, but it is expected that this project will lead to many things which will improve the lives of people at large. It will lead to a rise in incomes of the poorest of the poor and empower them financially. Economic empowerment will lead to a social empowerment. It will mobilize communities and allow them to take charge of their lives. RGVN over the years has evolved a meticulous process of implementation of NGOSP. Since, the rural poor mostly constitutes RVGN’s target group, and implementing NGOs are small and fledgling, they neither have the capability to write good project proposals nor to analyze what will work and what will not. Most therefore approach RGVN with an expression of intent; RGVN executives have to help them crystallize ideas and develop project proposals. Each grant is made on the basis of a pre grant study called pre-funding study. There is a very structured format for conducting the pre-funding study. An RGVN executive visits the project site of a prospective grantee NGO; holds a series of consultations with the NGO personnel and prospective beneficiaries; studies the socio-economic environment of the area; examines the existing capacity of the NGO and the beneficiaries; analyzes the feasibility of a project idea and finally, prepares a full grant proposal. The entire exercise is done with the active participation from the implementing NGO as well as the beneficiaries. Each region of RGVN has a Local Advisory Committee (LAC). The LAC is chaired by a Governing Board Member and it has as members notable local individuals, other NGO representatives, representatives from financial institutions and the concerned Regional Coordinator. The LAC has two distant roles to perform; one to provide overall advice and guidance to each regional office and second, process and approve grant proposals prepared by the executives. The founders of RGVN realized that the effectiveness of livelihood generation programmes depended largely on the human resources and skill of NGOs/CBOs. 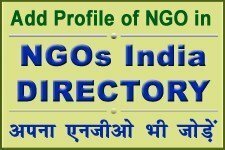 Interaction amongst NGOs : RGVN proposed to organize meetings of NGOs assisted by it. The primary value of these meets was as forums for peer review, highlighting and reinforcing a corporate public identity, flagging common issues, sharing contextual insights and institutional diagnosis. Training workshops: RGVN proposed to conduct peer learning workshops to help the NGOs map out perceptions of the self and evaluate their strategies. These programmes provide inputs on simple organisational technologies like keeping book of accounts, the broader question of vision, mission and strategies and various aspects of community development. RGVN catalysed these programme, drawing resource persons from outside. Sectoral exposure and training programmes : RGVN decided to build the technical and sectoral capability of its partners, since, most of them did not have staff with sectoral expertise and consequently their ability to add value to the community’s problems was limited. Sponsorship to training programmes: RGVN proposed to selectively sponsor NGO personnel to training programme designed for NGOs which were offered by premier institutions such as IRMA, TISS etc. The Credit and Savings Programme, an RGVN initiative, started in 1995 to provide credit and other financial services to the people who have been excluded from the formal banking sector, especially women for enhancement of their livelihood generation capabilities. At present it is operational in two states of India, Assam and Orissa. It is spread over 7 districts of Assam and one in Orissa and covers more than 600 villages. An amount of Rs. 2811.48 lakh has been disbursed to 26,693 clients as on 31.03.04.The portfolio for loan consists of (i) general loan, (ii) seasonal loan and (iii) Entrepreneurship Development loan. The focus of CSP during this year was on further streamlining of the operations and strengthening its Management Information System. Great emphasis is being given on better control and monitoring of the operations to improve the portfolio quality. With the changing scenario it has become important to have comparative advantage over other MFIs in terms of delivery of financial services and performance in the coming years. RGVNPs philosophy has always been to improve the quality of life of the poor- “food”, “clothing” and “shelter”, a prerequisite to it. The NGO Support Programme and the Credit and Savings Programme have been able to cater to the first two requirements of a better quality of life. The shelter programme as a subsidiary to the NGO Support Programme takes a more holistic development approach in the sense that NGOSP caters to the additional income needs of the poor whereas the housing programme caters to their shelter needs, this makes a visible impact on the life of the poor as well as in the area/ village. This “visible” impact has a spiraling affect in the minds of the poor and their belief in the development efforts being made by organizations like RGVN is strengthened. This “strengthened belief’ makes other development interventions by our organizations more effective. This Programme provided support for housing to such people who have or would have never got support for housing. Thus fulfilling one of the important purpose for which RGVN was set up i.e. – provide access to credit to those whom mainstream finance do not reach. Another important aspect of the Programme is that it leads to asset creation, moreover a secured “shelter” helps in breaking or at least mitigating the vicious cycle of poverty. Towards Low Cost Housing Programme in Northeast and Bihar, RGVN has disbursed an amount of Rs. 117.66 lakh for construction of 275 houses. The Low Cost Housing Programme in Orissa was undertaken during October 2000, subsequent to the super cyclone in Orissa. Towards this RGVN has disbursed a line of credit and a line of grant of Rs. 115 lakh and Rs. 75 lakh respectively. RGVN has received fund support from Housing Development Finance Corporation (HDFC) for its present Housing Programme. RGVN fellowships are open to young persons who have the passion and zeal to work with communities at the grassroots. Such persons feel the moral and social responsibility of helping the poor and disadvantaged improve the quality of their lives, but often are constrained in pursuing their dreams due to a lack of resources. RGVN provides financial and other support to development interns for a definitive time frame, till they are able to garner resources from other sources, or till their projects becomes sustainable. RGVN has three categories of fellowship : the Ford Fellowship which has been constituted with support from the Ford Foundation, the Prabhab Dutta fellowship constituted in memory of the Late Executive Director and the RGVN fellowship. Relief and Rehabilitation. During periods of natural disasters and calamities, RGVN joins hands with other development organisations and NGOs to render timely help to victims of disasters. During FY 2003-2004, RGVN sanctioned a total of Rs. I lakh for relief. A sum of Rs. 0.50 lakh was sanctioned for relief and rehabilitation in the flood affected areas of Saran, Munger and Khagaria in Bihar. Another amount of Rs. 0.50 lakh was also sanctioned for relief kits in Puri, Cuttack, Boudh and Sambalpur in Orissa. Since inception RGVN has endeavored to help partners and organisations sharing a common vision forge meaningful alliances with civil society. Networking and building platforms has been a priority with RGVN as it believes that organisations set up with shared objectives must work together.